Two open house sessions organized by the Massachusetts Casino Career Training Institute (MCCTI) and MGM Springfield took place this past Thursday to provide people interested to enroll in their blackjack and poker dealer classes with additional information. Both classes are slated to begin on January 7. They aim to prepare interested participants for full- and part-time employment in the casino dealer industry. The MCCTI was formed by Massachusetts’ fifteen community colleges as a collaborating workforce development entity that provides people with workforce certification, training, and licensure, among other things. The organization works together with the state Gaming Commission. 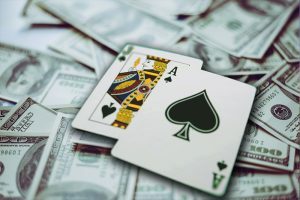 The MCCTI has partnered the Holyoke and Springfield Technical Community Colleges to provide people with the necessary training to become licensed blackjack or poker dealers. Those who complete successfully the Training Institute’s classes will be able to apply for a job at MGM Springfield and commence the job interview process. Commenting on their latest open houses, MCCTI’s Paul Sheehan told local news outlet 22News that they have been doing those for several months and have seen quite some interest, with an overwhelming number of people completing the classes and getting hired by MGM Springfield. 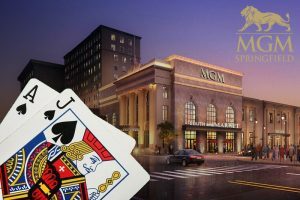 MGM Springfield opened doors this past August to become Massachusetts’ first commercial integrated resort featuring a casino. The $960-million property occupies several blocks in downtown Springfield and is owned and operated by Las Vegas gaming and hospitality giant MGM Resorts International. The gambling company has promised state and local officials and gaming regulators to create 3,000 permanent jobs for residents. In addition, it has established a goal to hire 35% of its MGM Springfield workforce from the host city and 90% from the city and the region. Property officials told the Massachusetts Gaming Commission during a meeting last week that MGM Springfield drew 1 million visitors during its first six weeks of operation. An average of 15,000 people visit the casino every day, it also became known. Officials for the resort told gaming commissioners that the figure above is very much on a par with original expectations. The state’s first full-scale commercial casino generated gaming revenue of $36 million during its first forty days, which transfers to nearly $9 million in tax revenue. Under Massachusetts law, commercial casinos are taxed at 25% on gaming revenue. A second integrated resort – the $2.5-billion Encore Boston Harbor – is slated to open doors next June. The property has entered the final stages of construction in the city of Everett in the Greater Boston area.